The BackBox Team is pleased to announce the updated release of BackBox Linux, the version 4.7. We thought to release a new minor version to give our users the opportunity to have a stable and up-to-date sytem till the next official major release, i.e. BackBox 5, stilll under development. In this release we have fixed some minor bugs, updated the kernel stack, base system and tools. Updated hacking tools: beef, metasploit, openvas, setoolkit, sqlmap, wpscan, etc. https://www.backbox.org/wp-content/uploads/2018/09/website_backbox_text_black.png 0 0 admin https://www.backbox.org/wp-content/uploads/2018/09/website_backbox_text_black.png admin2016-12-06 11:32:022018-10-06 16:51:48BackBox Linux 4.7 released! Ubuntu systems already have LTS enablement stacks that provide newer kernel and X support for existing Ubuntu LTS releases. As we all know, BackBox core system is built on Ubuntu system and therefore the same principle can be applied. And we are all good just like that! If any issues occur, feel free to get in touch with BackBox Community where you will have support. 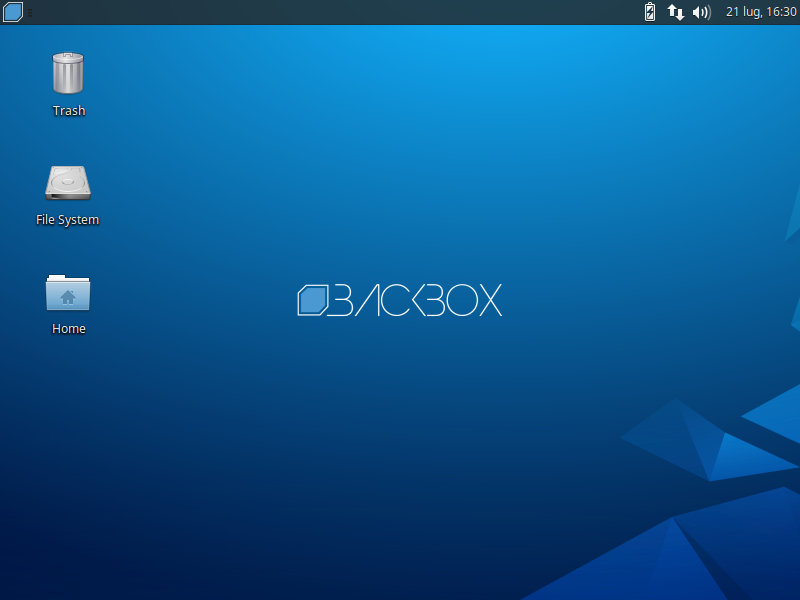 The BackBox Team is pleased to announce the last of 4 minor releases… BackBox Linux 4.6! In this release we have fixed some minor bugs, configured ruby2.2 as default, updated base system and tools. https://www.backbox.org/wp-content/uploads/2018/09/website_backbox_text_black.png 0 0 admin https://www.backbox.org/wp-content/uploads/2018/09/website_backbox_text_black.png admin2016-05-26 15:57:402018-10-06 16:51:41BackBox Linux 4.6 released! After having received several requests of issues that the users had with VM installation of BackBox the Team has decided to dig into the issue deeper and after investigation which involved almost the entire team has come to a conclusion. Long story short, BackBox 4.5 has encountered some problems related to guest-additions and vmware-tools which were causing malfunctioning of some parts. The finding was that vmware-tools and guest-additions were conflicting with the specific kernel version with which BackBox was released. BackBox Team has finally fixed the issue after finding the root cause and would like to announce that for the first time we have a revisioned version of BackBox release, which is BackBox 4.5.1 (rev 1). In this revision release we have fixed the problems with VMware/Vbox and APT and it is fully functional and hopefully with no more troubles. The BackBox Team is pleased to announce the updated release of BackBox Linux, the version 4.5! In this release we have some special new features included to keep BackBox up to date with last developments in security world. Tools such as OpenVAS and Automotive Analysis will make a big difference. BackBox 4.5 comes also with Kernel 4.2. New and updated hacking tools: wpscan, knockpy, nmap, zaproxy, set, guymanager, sqlmap, apktool, hashcat, can-utils, binwalk, openvas, phishing-frenzy, etc. https://www.backbox.org/wp-content/uploads/2018/09/website_backbox_text_black.png 0 0 admin https://www.backbox.org/wp-content/uploads/2018/09/website_backbox_text_black.png admin2016-01-26 19:52:262018-10-06 16:51:27BackBox Linux 4.5 released!